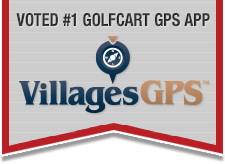 When I try to read villages,-,ne ws dot com, I keep getting interrupted by pop-ups regarding a $1000 gift card. Can’t make it go away even with pop up blocker on. Any body else having this problem? Any advice? Thanks. Control panel, apps/programs. See if you have installed anything with Wal-Mart in it. Remove/uninstall. Some sort of helper app. I had the same Walmart popup on my iPad this morning on that site. Was using chrome browser and the popup locked the screen..I wasn’t going to hit the OK button. Closed out chrome and opened it again...it went right back to that page and popup. I deleted chrome and reinstalled it and seems ok now. Very annoying. I added the extension Popup Blocker Pro for Chrome about four years ago and have never seen a popup since. Also for ads, you can eliminate them with Ad Block Plus. I have an iPad with Safari. Same irritating pop ups today promising a free iPad. When something like this happens I suspect some form of malware. I am getting paranoid about who wants to pest us? Last edited by graciegirl; 08-21-2018 at 09:08 AM. Apparently Safari (IOS) has a built in pop-in blocker. You may have it disabled. Here's a website that may help. Thanks for the link, John. I already have it set properly. What gets me is that it only happens on that one site. Extremely annoying! OMG. It stopped. So far, at least.